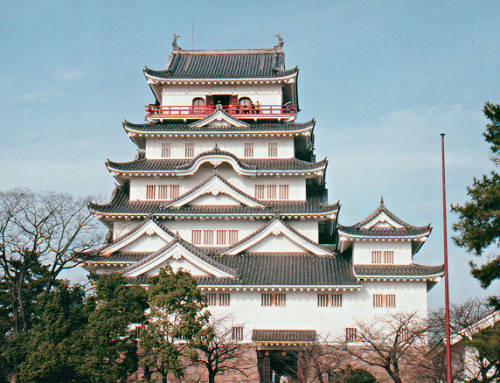 Shimabara Castle is a 5-story white castle located in Nagasaki Prefecture. 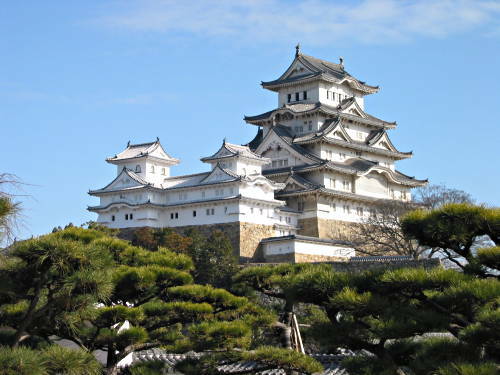 The taxes imposed on the local farmers to build the castle were so severe that they revolted in an event called the Shimabara Rebellion. 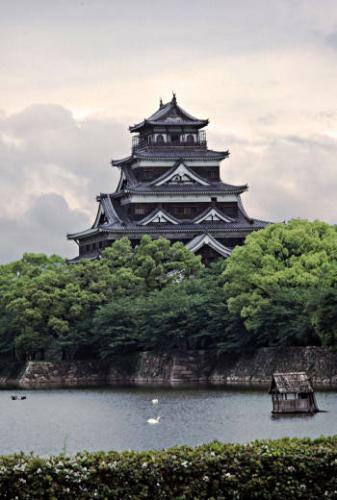 Shimabara Castle was completed in 1624. Photos of Maruoka Castle, Matsue Castle, Okayama Castle, Kiyosu Castle and Nagoya Castle originally from Wikipedia and licensed under the GDFL. Do you have any pictures of that castle. If so, I would love to post it.